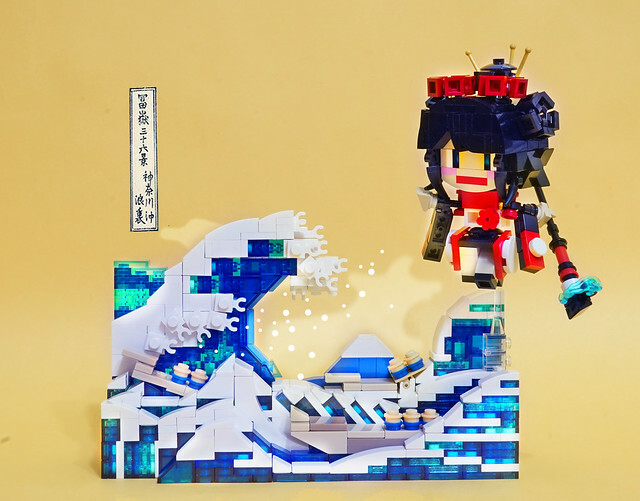 I really like the presentation on this latest MOC by Mike Dung. Of course the figure is adorable, like we've come to expect from Mike, but the interpretation of Katsushika Hokusai's Great Wave off Kanagawa is absolutely genius. The feeling of power and motion is in the spirit of the classic print, and sets this MOC apart.